Full Spectrum Ice Sculptures is honored to be recognized with multiple awards at the ISES Austin June Awards Gala on June 20, 2013. 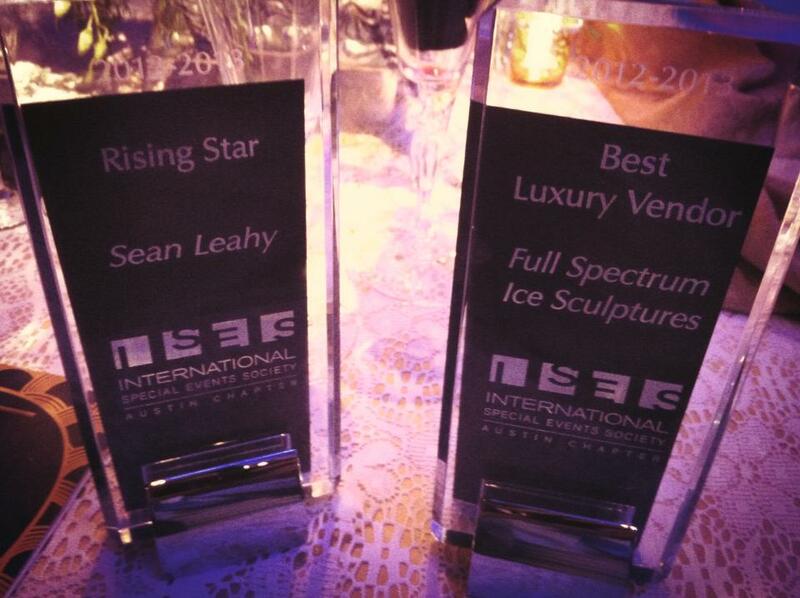 Owner, Sean Leahy received the 2012-2013 Rising Star and 2012-2013 Best Luxury Vendor of the Year awards. The International Special Events Society Austin chapter is comprised of event industry professionals from all disciplines, including event planners, venues, catering, rentals, photographers, décor + floral, entertainment, meeting planners, hotels, transportation, wedding planners, destination management professionals and more. 2012-2013 Rising Star and 2012-2013 Best Luxury Vendor Awards at the ISES Austin June Gala. To find out more about ISES Austin and stay connected to the BEST professionals in the event industry, follow them on Facebook , Twitter, LinkedIn, and their blog for the latest news, updates, tips and trends. 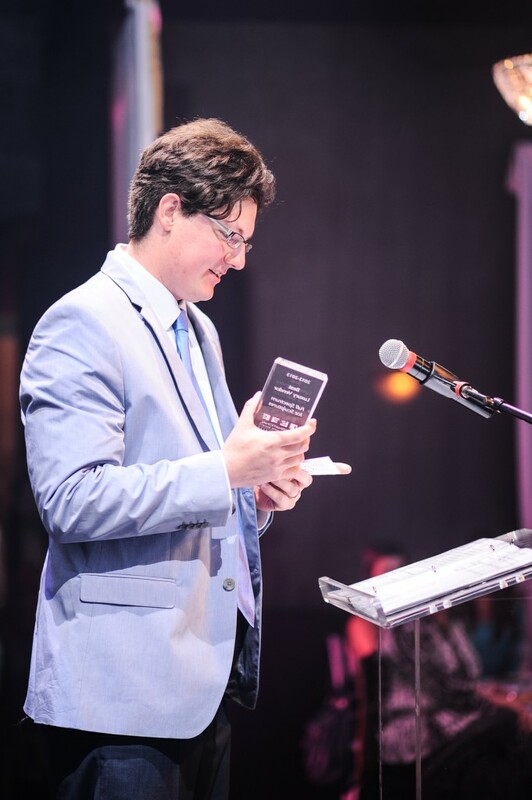 Special thanks to Pressman Studio Photography for the photos from the Gala!